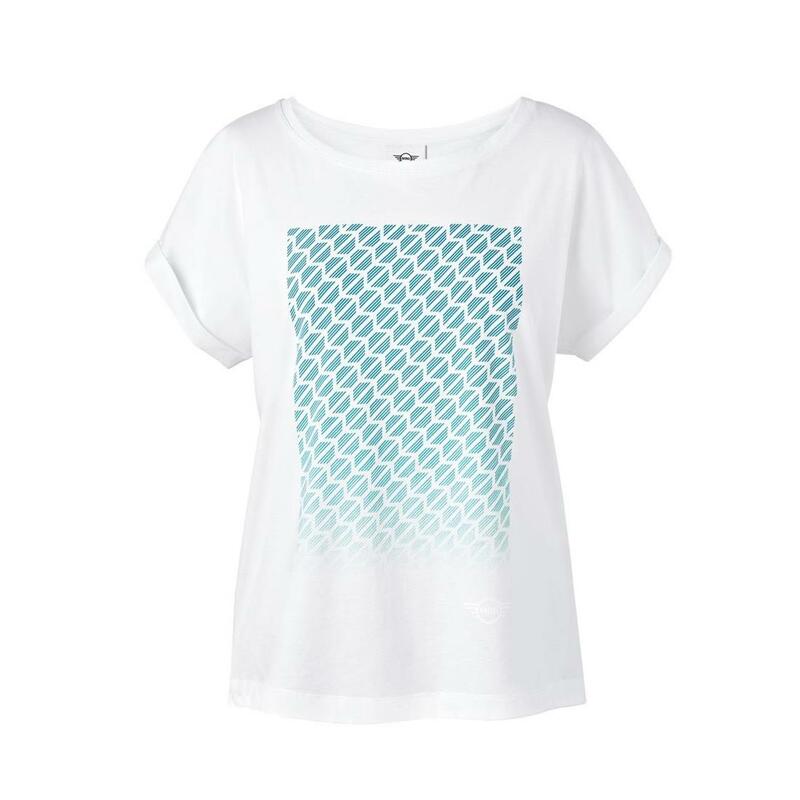 Make a statement with this MINI Signet T-Shirt. It is cut from soft single jersey and has a modern loose fit, turn-up sleeves and a striking degrade MINI Signet print as well as a tonal MINI Wing Logo on the front. Loose fit. Slightly oversized.